A veteran is now homeless and in the hospital after barely making it out of a burning building in central Toledo Wednesday morning. The fire occurred on Palmwood Avenue near Collingwood Avenue around 2:30 a.m.
Crews say they arrived to find the building totally engulfed, with flames shooting out of the windows and roof of the building. 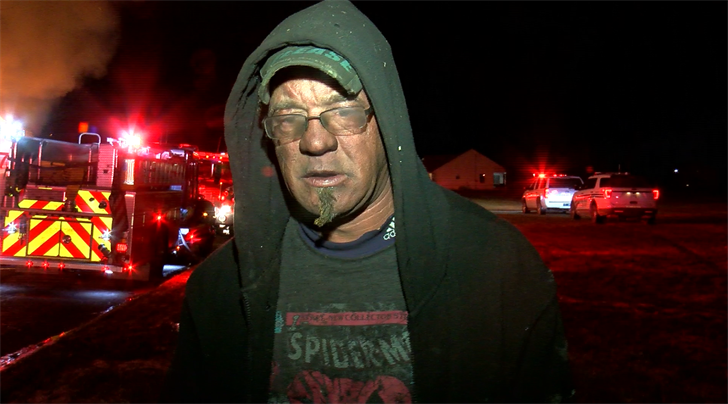 Homeless veteran Rex Davis says he and about seven other people were squatting inside the building when the fire started. Davis said the blaze started when an ember from the fireplace caught a mattress on fire. “I opened up the fireplace and something popped out and landed on the mattress and burned it up. I crawled out from the basement. I couldn’t see,” he said.